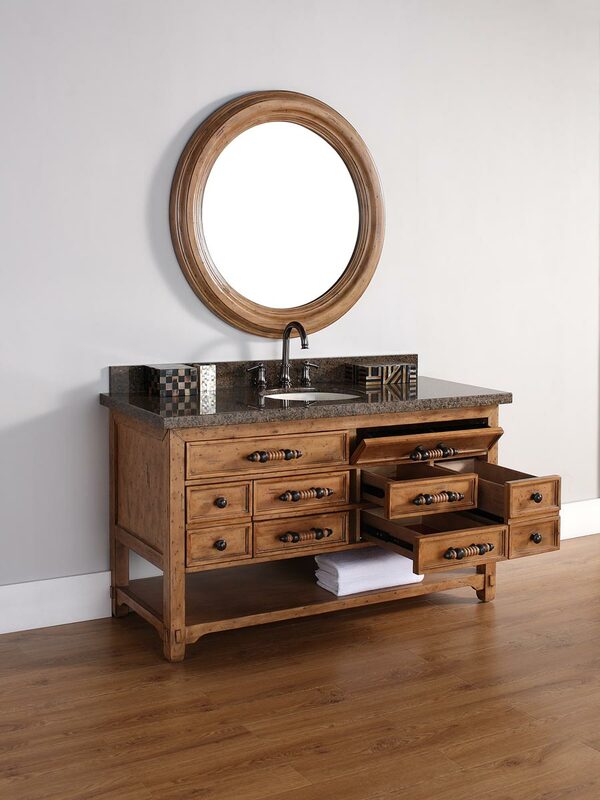 The beauty of the 60" Malibu Single Bath Vanity stems from the simple, yet sophisticated appeal of its design. 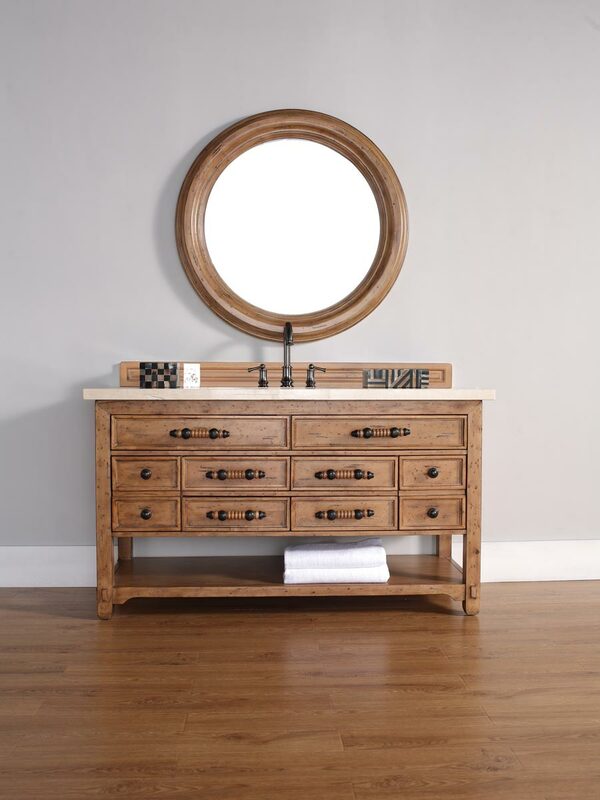 The solid birch frame is finished with a beautifully natural Honey Alder finish. 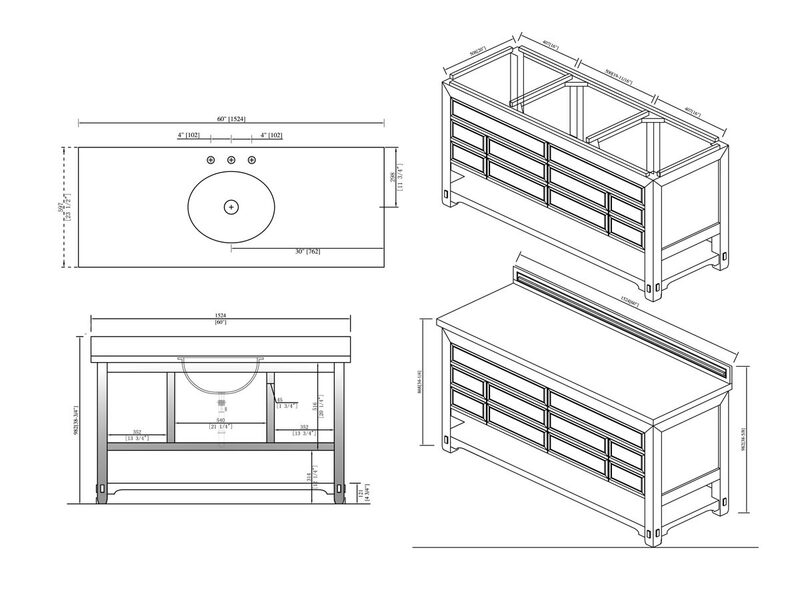 Six pull-out drawers that have built-in dividers, along with two hide-away drawers gives you plenty of storage space. 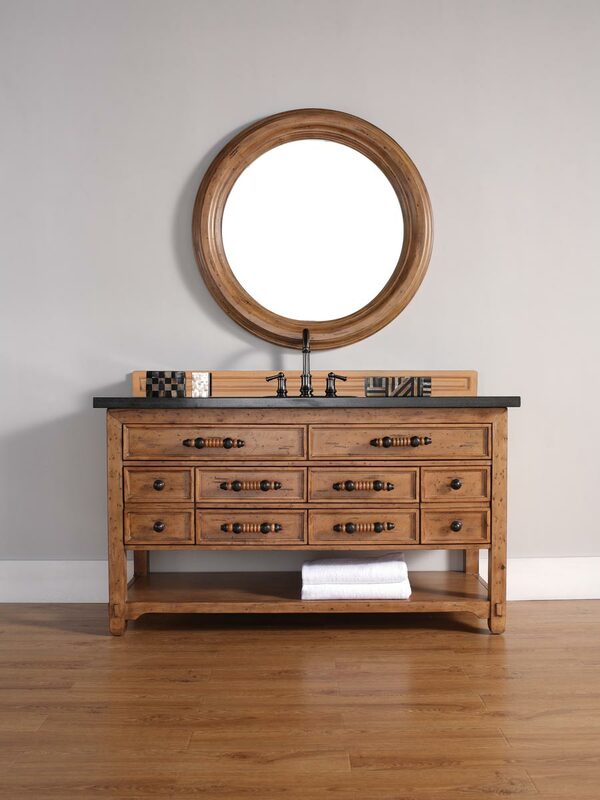 Each drawer is adorned with a unique Antique Pewter finished handle. 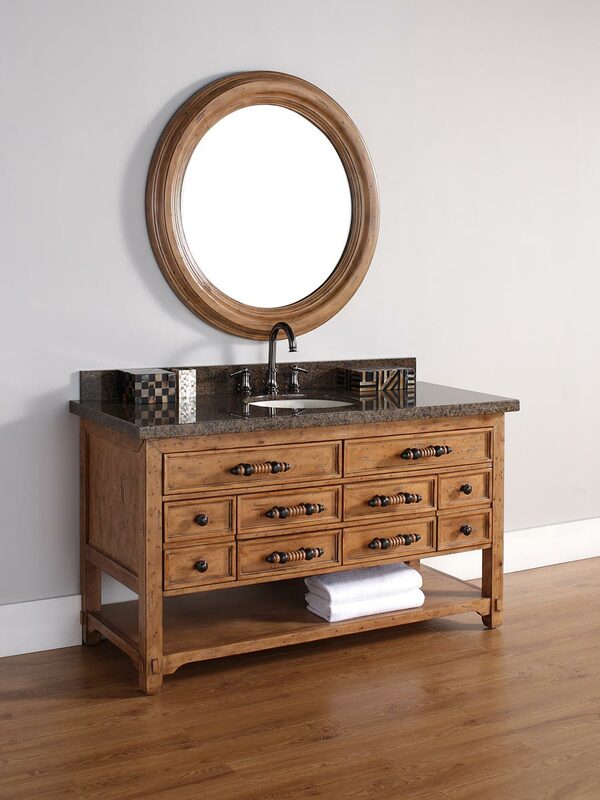 A lower towel shelf gives you additional space for clean towels. 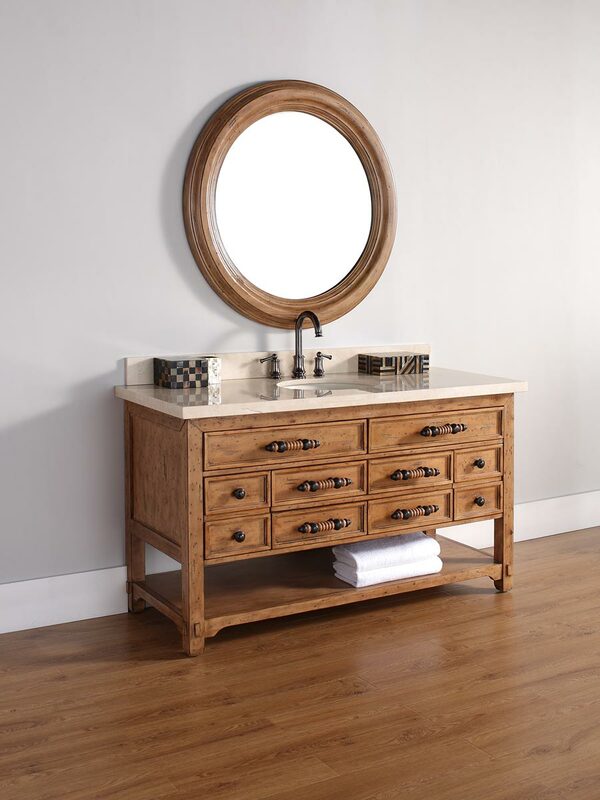 Choose from 7 top options. 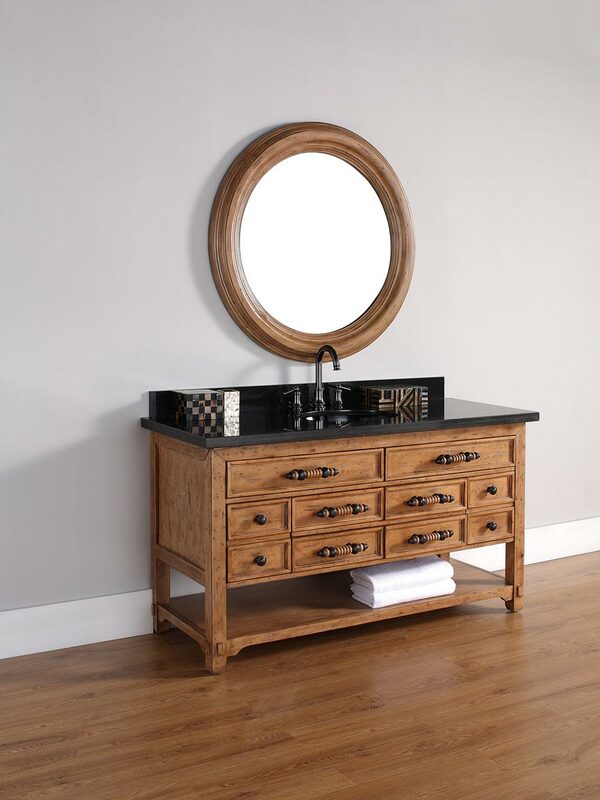 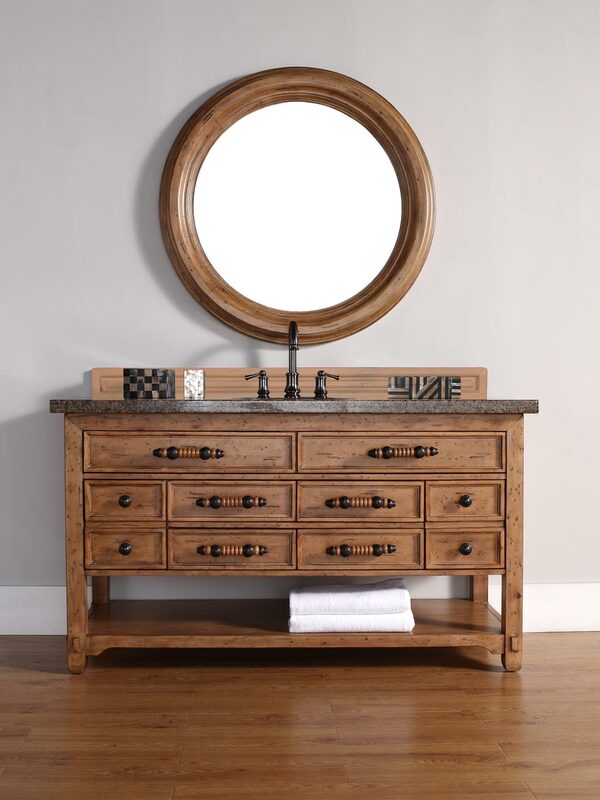 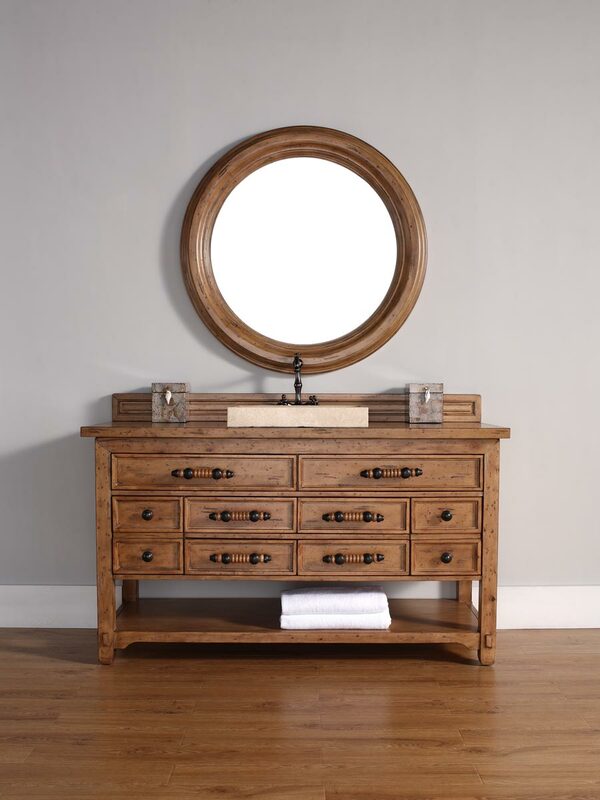 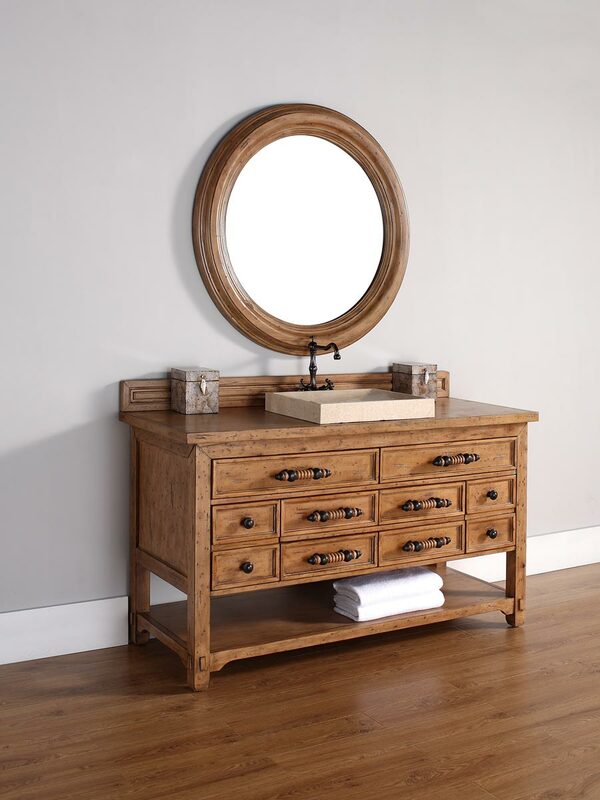 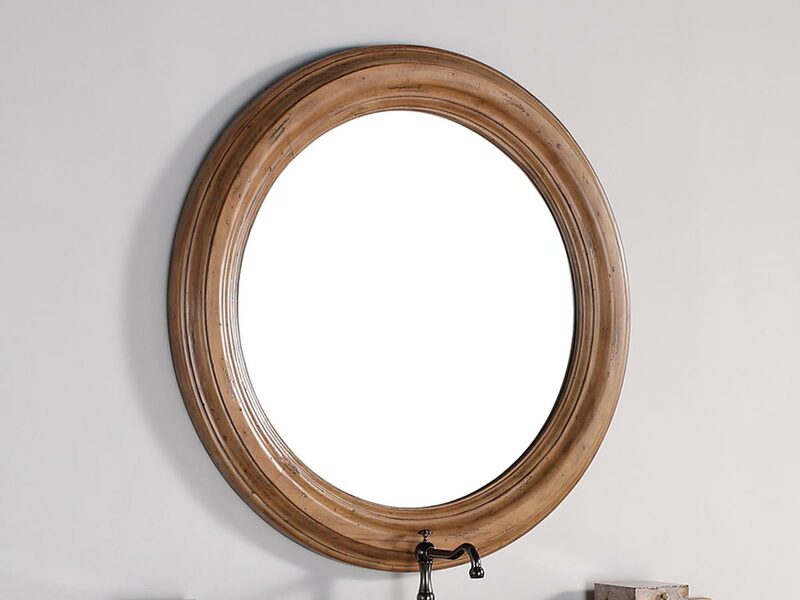 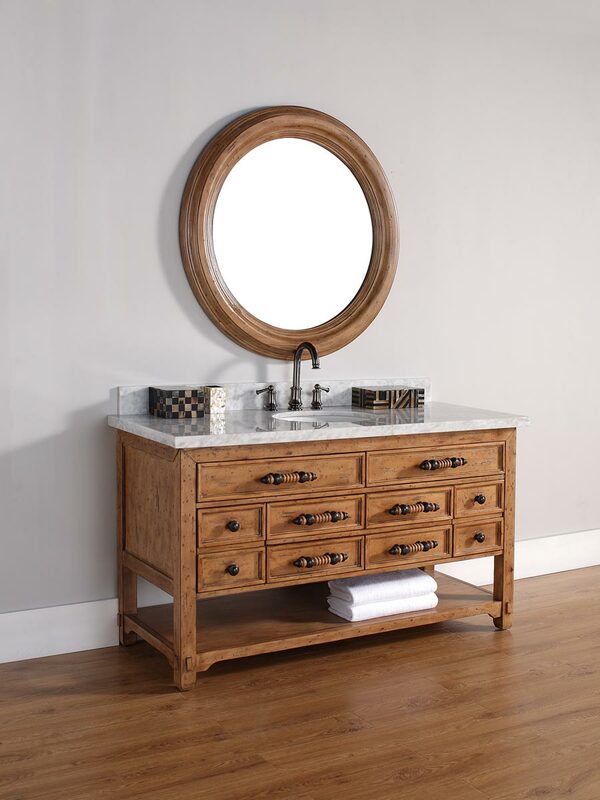 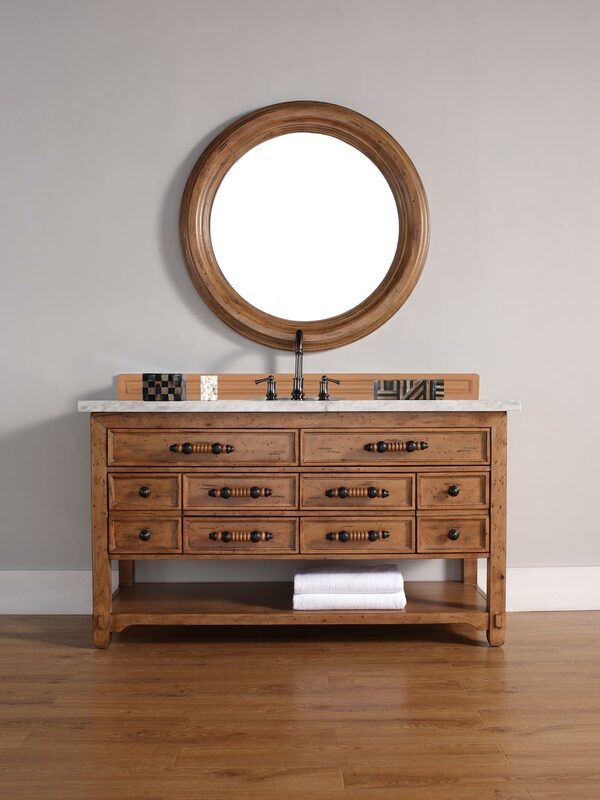 A rounded mirror and linen cabinet can also be purchased to fill your bathroom with the same country charm.